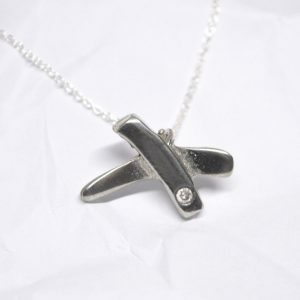 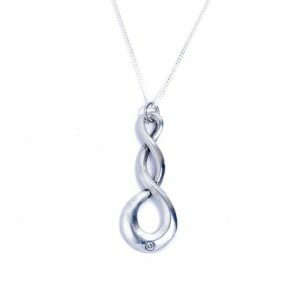 Stunningly Beautiful Tin Kiss Necklace with a Diamond Embedded. 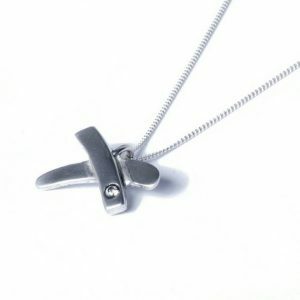 Traditional Tin with a Modern Twist, all combined in this attractive necklace. 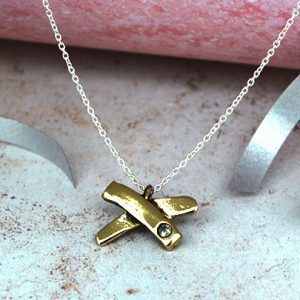 Stunningly Beautiful Bronze X Necklace with a Diamond Embedded.